Recent technological advancements significantly redefined the context in which organizations acquire, process, and share information. The transformations that emerged across the organizational and institutional landscapes have led to the emergence of new forms of organizational design and business models. Within this context, the new business patterns, platforms and architectures have been developed to enable for the maximization of benefits from data through the adoption of collaborative work practices. The main focus of such practices is oriented towards the improvement of responsiveness, building of alliances and enhancing organizational reach. The use of global networks and web based systems for the implementation of collaborative work has been accompanied with a wide range of computer supported collaborative systems. This paper examines the context of collaboration, collaborative work and the development of agent-supported collaborative work system and examines the implications of the ontological positions of sociomateriality on agent-supported collaborative work domains in terms of multi-agent architecture and agent-oriented evaluation. The growing organizational, institutional, economic and technological transformations exhibited during the last decade have been accompanied with a wide range of transformations and shifts that warrant the attention of policy makers. Such attention originates from the intensity of transformations (in terms of magnitude and scale), the complexity of interactions among their variables and the growing difficulty in crystallizing their dysfunctional impacts on organizations and individuals. Organizationally, there has been more emphasis on making organizations flat, decentralized, highly concerned for stakeholders such as clients and suppliers, and widely involved in transactions with suppliers through out-sourcing mechanisms. Institutionally, the migration towards decentralization has resulted into an increasingly growing focus on the delegation of authorities, the adoption of new styles of institutional reporting and the re-definition of managerial styles in use. On the other hand, the economic transformations associated with the new economic order are continuously re-shaping the context of production by moving emphasis from traditional labor-intensive production approaches to modern production tools and mechanisms. As a result, organizations are becoming highly concerned with the use of organizational knowledge and its networks to produce knowledge-intensive products and services. On the technological side, the developments witnessed in the context of information systems, telecommunications infrastructure and IT configurations (hardware, software, databases, etc.) have also affected organizational performance and dictated new axioms for doing business. Coupled with their process-oriented “enabling” features, the use of global networks and web based systems has turned enterprises into an archipelago of “integrated” islands of performance interacting across global networks of “capital”, “information” and “power” and driven by institutional concepts of “deregulation”, “liberalization”, and “re-engineering” (Gasmelseid, 2006). 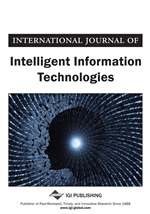 While the relationship between organizational and technological transformations tends to be debatable (i.e., whether technological developments lead to organizational and institutional transformations or technological developments have accompanied them), it goes without mentioning that technological developments have resulted into significant organizational impacts. They have significantly affected the organizational context of data acquisition, processing and sharing and led to the emergence of new forms of organizational design, the enactment of new business models and the redefinition of organizational and work boundaries (in terms of work relationships, relationship between work and place of work and key performance indicators). Taken together, such transformations have increased the attention of business organizations on the merits to be gained from using the concept of collaboration, collaborative work and the adoption of computer-supported collaborative work systems (CSCWs) and technologies. While new patterns, platforms and architectures are being developed for the maximization of benefits from data, the growing emphasis on “collaborative work,” “responsiveness,” and “building of alliances” is reshaping the way global enterprises do business (Gasmelseid, 2009). Within this context, the emphasis of organizations continued to be focused on the development of effective and efficient technology-enabled processes, the orchestration and mainstreaming of databases, model coupling, the mobilization of deployable resources and the improvement of their capacity to manage knowledge-intensive processes.